Tonight’s low-scoring World Baseball Classic semifinal between Japan and Team USA had none of the playful braggadocio seen in other World Baseball Classic games this year, but the Americans eked out a 2-1 win to advance to the WBC final for the first time. The game was dulled by persistent rain, and the unseasonal precipitation played a part in deciding the game. With the score tied at 1-1 in the top of the eighth inning with one out, Adam Jones hit a grounder to third. 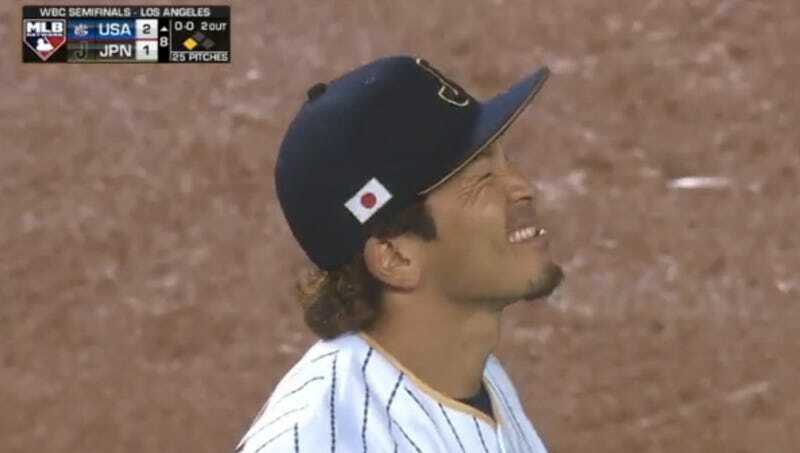 Japan’s Nobuhiro Matsuda bobbled the ball on the wet infield, and resorted to throwing for the out at first, which allowed Brandon Crawford to score. The U.S. will play Puerto Rico on Wednesday in the final. Puerto Rico beat the U.S. 6-5 when the teams met last week in group play.